i want to flag up a few more new releases that have recently been tickling my jukeboxical fancy. To begin with, music that’s not remotely contemporary, but which in its own way marks an important contribution to the development of a particular musical strand that began early in the 20th century. Gottfried Huppertz was the composer for two of Fritz Lang’s most impressive films; his 1927 score for Metropolis can be heard as a progenitor of the style and approach that is at the heart of composers like John Williams. 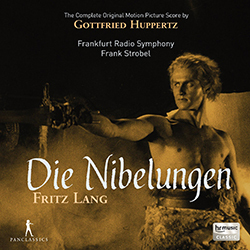 But it’s his score for Lang’s massive 4½-hour two-part epic Die Nibelungen, composed three years earlier, that can be heard to contain the quintessence of the movie soundtrack in a startlingly nascent form. In contrast to Metropolis, where mechanistic machinations dominate its narrative, Die Nibelungen is a score rooted deeply in lyrical melodic action. Huppertz’s musical language is sumptuous, echoing the shifting harmonic sensibilities of Richard Strauss, but above all strikingly redolent of the impassioned melodies (and instrumentation) of Scriabin’s symphonies. His approach is essentially leitmotivic, establishing a variety of principal ideas that are continually repositioned and recast in different lights and flavours in response to the events on-screen. The complete 270-minute score has recently been issued in a limited edition box set by Pan Classics recorded by the Frankfurt Radio Symphony conducted by Frank Strobel (who also helmed the 2011 Metropolis recording), and it is a marvel to behold, like an epic set of intricate variations on multiple themes. The music seamlessly incorporates diegetic elements—including an anvil, bells and trumpeters—and makes excellent, telling, use of silence (something that will make more of an aural impact to those familiar with the pivotal moments they coincide with in the film); the recording also highlights the marked difference between the film’s two parts, increasingly dispensing with soaring lyricism as the narrative reaches its bellicose conflagrationary conclusion. Gloriously beautiful and rip-roaring in equal measure, it’s essential listening for all lovers of the movie score idiom. 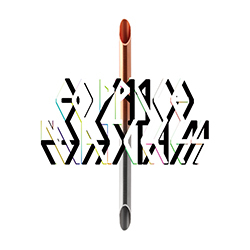 Out at the end of the month is an exhilarating new disc from US label Starkland (whose superb Paul Dolden release i highlighted last year), featuring the music of Elliott Sharp. 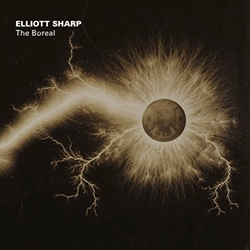 It includes four major works, The Boreal (which gives the disc its title), Oligosono, Proof of Erdős and On Corlear’s Hook, each of which gives the impression that Sharp is not so much a composer as a blacksmith. The music really does sound forged, put together from hefty chunks of matter that have been roughly hammered into shape before assuming their final juxtaposition. These metaphorical implications of labour extend into the music; we call a musical composition a ‘work’, and here that term has never been more true, instruments becoming integral components in vast machines. 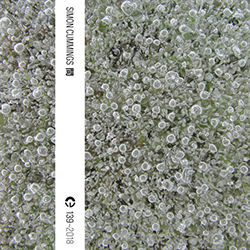 Their soundworld is full of both crudity and clarity, corresponding to Sharp’s twin penchants for banks of noise and rhythmic loops. All of this, in addition to the music’s overall wide dynamic range (encompassing extremes, even excesses), and hinted at in the album’s artwork, brings us to the key aspect of these four works, which is power. These pieces demonstrate an overwhelming potency, emerging from their respectively huge contrasts, where minute pitches become assimilated into grinding, juddering walls of near-chaotic overload, where clean cycles of rhythm become overlaid and superimposed into dense strata of complex polyphony. But there are no cliché archetypes here; at both massive and miniscule scales, in both stasis and chaos, Sharp’s music can be radiant, ethereal, alluring and overwhelming. A magnificent disc. 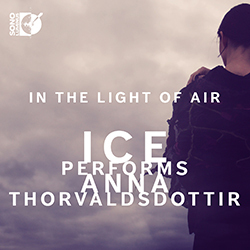 The latest CD from Icelandic composer Anna Þorvaldsdóttir, In the Light of Air (out on Sono Luminus), develops further her distinctly elemental approach to music. Here, we’re immediately plunged into a primitive, even primeval place, filled with sounds at once inchoate yet at the same time stylised, producing a kind of heightened, ritualistic tone. Things move, yet for the longest time everything seems essentially static, held in check by its own oppressive weight; but, heralded by twangs on deep piano strings, Þorvaldsdóttir conjures up an atmosphere like folk music waking up, underpinned by some unstable drones and enriched by a movement away from gesture towards melody. She allows things to fizzle though, holding back from letting it truly loose, at first taking refuge in a lengthy introspective drone sequence (third movement ‘Existence’) before arriving at a more restless, percussive final sequence, pummelled by drum rumbles and figurations. In the Light of Air‘s conclusion bears similarities to its opening, yet is quite transformed, still decidedly weird but fundamentally more stable. Once again, with characteristic economy of means, Þorvaldsdóttir has created a stunningly immersive soundworld, the music of which conveys perceptible threads of narrative, yet which remains resolutely strange. This is perhaps her most primordial music to date, and it’s extremely impressive, performed with an intense kind of quiet ferocity by the International Contemporary Ensemble. The ever-marvellous Coppice have a self-released CD out, Matches, showcasing a new collection of their unique frictionally-charged acoustic experiments (excerpts here). The duo’s ongoing complex relationship with pitch and pulse reaches an intense zenith in ‘Bromine’; centred on a prepared shruti box, it’s one of their most challenging pieces, projecting its core pitch with the relentlessness of a surgical instrument (provoking similarly eye-watering results). But Coppice’s focus, as it has been consistently through their work, is a three-pronged exploration of sound, noise and silence, confronting once again what might otherwise be called ‘deliberate’ and ‘extraneous’ quantities, and to some extent rendering both terms entirely moot. ‘Held Cascade’ throws together a boombox and a prepared pump organ to yield a heartbeat of exhalations modulated with electronic buzzing, a soundworld expanded considerably in ‘Labile Form’, where the organ is replaced with accordions, transmitters and an oscillator, resulting in an ever-shifting firmament of emergent tones and hard-edged, aggressive regularity. 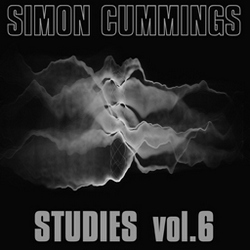 ‘Discharge Form’ and ‘Subparallel Episode’ are a pair of intriguing examinations of near-silent mechanical action, but the album’s high points are its lengthy closing pieces, ‘Bramble’ and ‘Caper’, where imagination runs wild (including, possibly, the first ever instance of a sphygmomanometer being used in live performance), together forming a large-scale synthesis and development of all that’s gone before. ‘Caper’ is the more gentle of the two, something of an epilogue with a quietly unexpected structure, but ‘Bramble’ is surely one of their most engrossing works to date, encompassing miniature movements and huge imposing razor-edged buzzsaw tones and hydraulic pressure. Utterly wonderful.